Taiwan's LED packagers are upbeat about Q4 market outlook. 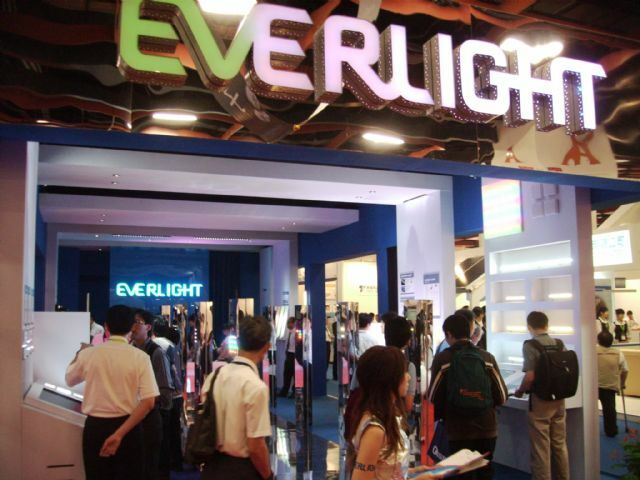 Top executives of Taiwan's leading LED packagers expressed optimism toward Q4 corporate outlook, with Everlight Electronics Co., Ltd. Chairman Robert Yeh estimating corporate earnings of at least NT$1.2 per share to achieve total 2014 earnings exceeding NT$5 per share. Yeh, whose company is the world's No.1 LED packager by volume, said corporate sales will undergo seasonal surge in Q4, normally a low season, thanks to strong market for LED lighting. The company netted NT$3.83 per share throughout the first three quarters this year. He even forecasts corporate sales to outperform the industry average next year, when market penetration of LED lighting will likely rise further, LED outdoor billboards will drive growth in the wake of indoor billboards, and LED-lit TVs will need more LEDs due to bigger screens. Unity Opto Technology Co., Ltd. Chairman Alpha Wu says, due to thriving American and European market for LED lighting, Q4 corporate sales will soar over 60% year on year despite an estimated 5% decline from the previous quarter, with earnings to stay on par with that of Q3. Wu predicts all its products, including LEDs for mobile phones and high-end lighting except TV LEDs to see strong sales in Q4, with 2015 sales grow at least 20% year on year. Advanced Optoelectronic Technology Inc. executives predict corporate earnings and gross margin to be better in Q4 relative to Q3.